Can you imagine being able to enjoy the Freixenet cellars privately? With this plan, you can enjoy a private reserved tour just for you and your loved ones. 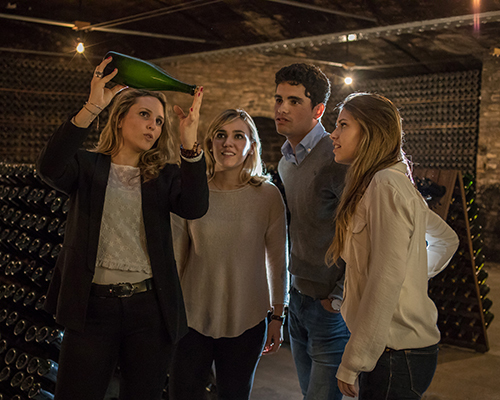 An exclusive journey where you will discover the cava production process. This includes a train ride and a tasting of the cavas (grape juice for guests under age 18). *There will be an added charge of €150 for privacy and exclusivity. There is no refund for cancellations within 72 hours of the reservation time. Business hours: Every day of the week, depending on availability. Advance reservation required.